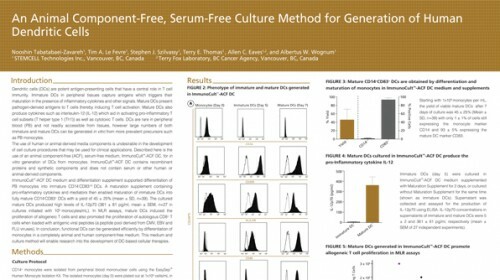 Medium for the culture and differentiation of human monocytes into dendritic cells and their maturation. 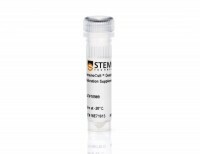 Supplement for the differentiation of human monocytes into dendritic cells. 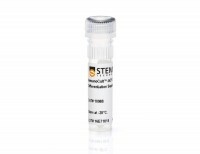 Supplement for the maturation of human monocyte-derived dendritic cells. 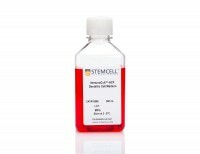 ImmunoCult™-ACF Dendritic Cell Medium and Supplements, sold individually or as a kit, have been developed for the in vitro culture and differentiation of human monocytes into dendritic cells (DCs). 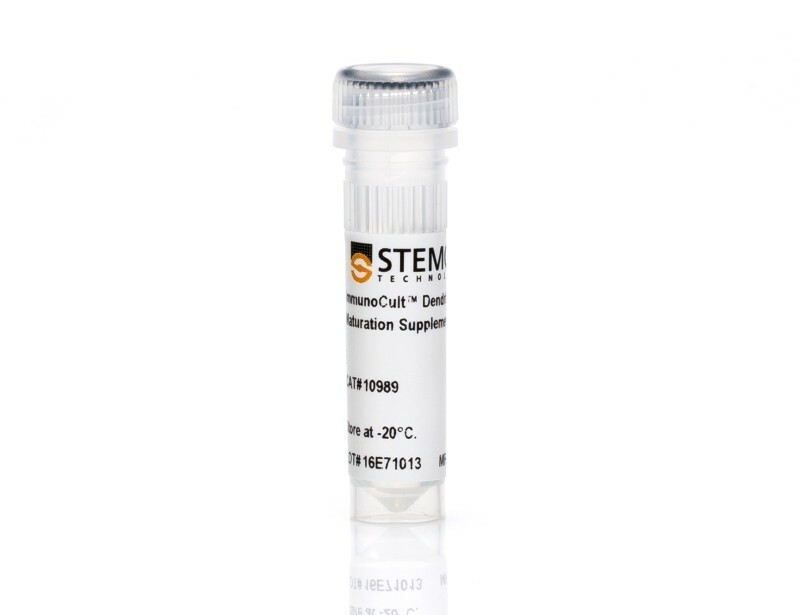 ImmunoCult™-ACF Dendritic Cell Medium is a serum-free and animal component-free medium optimized for the in vitro culture and differentiation of human monocytes into DCs. ImmunoCult™-ACF Dendritic Cell Differentiation Supplement contains a combination of animal component-free recombinant human cytokines formulated to support the differentiation of immature DCs from human monocytes. 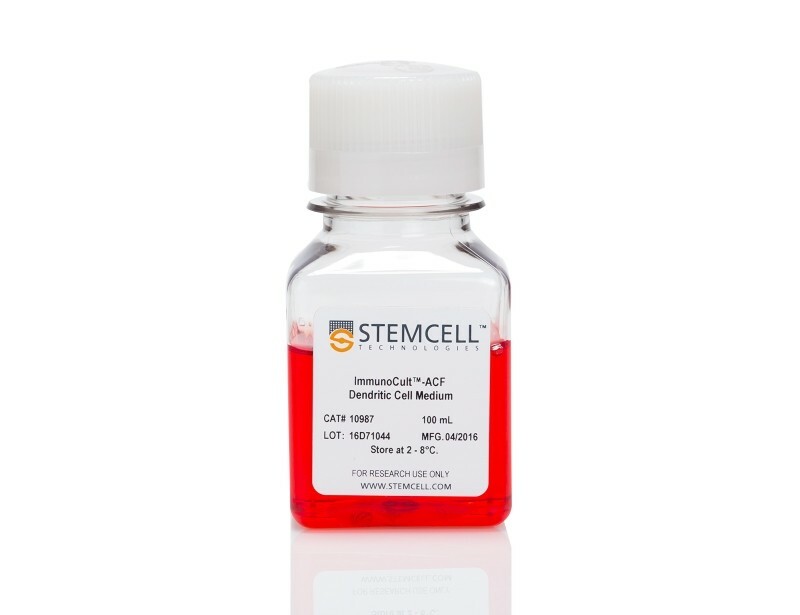 The ImmunoCult™ Dendritic Cell Maturation Supplement has been formulated to support maturation of immature DCs to mature DCs. 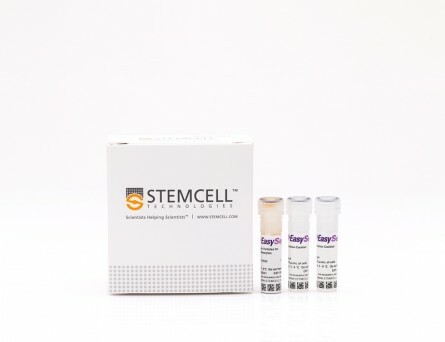 Mature DCs were generated by culturing EasySep™ isolated monocytes at 1 x 106 cells/mL in ImmunoCult™-ACF Dendritic Cell Medium (Catalog #10987) with added ImmunoCult™-ACF Dendritic Cell Differentiation Supplement (Catalog #10988). 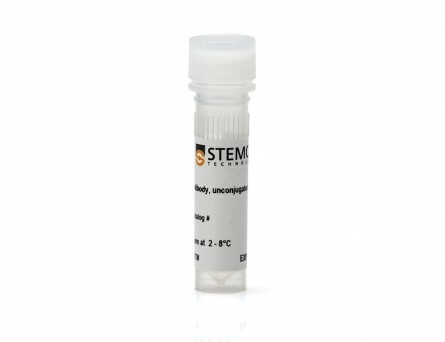 At day 3, the medium with differentiation supplement was replaced and cells were incubated for 2 more days. 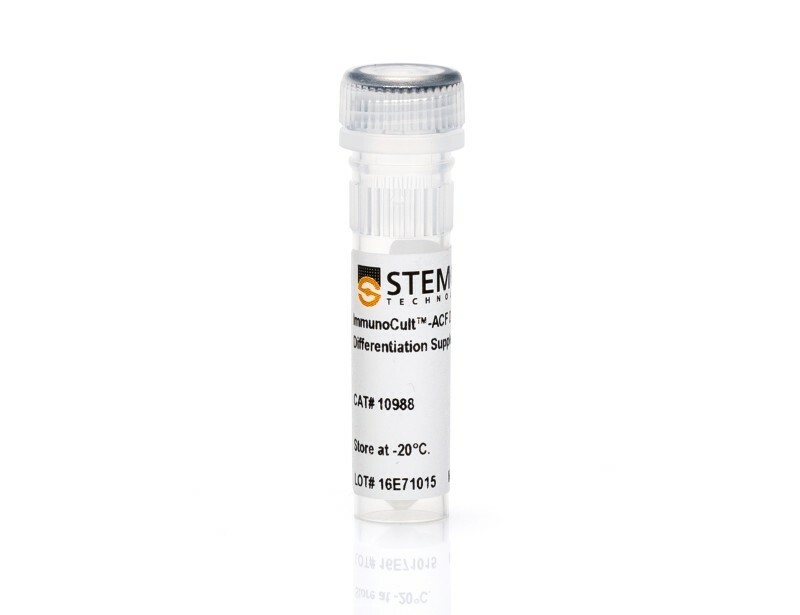 At day 5, without changing the medium, ImmunoCult™ Dendritic Cell Maturation Supplement (Catalog #10989) was added to the culture. At day 7, fully mature DCs were harvested for downstream applications. Figure 2. 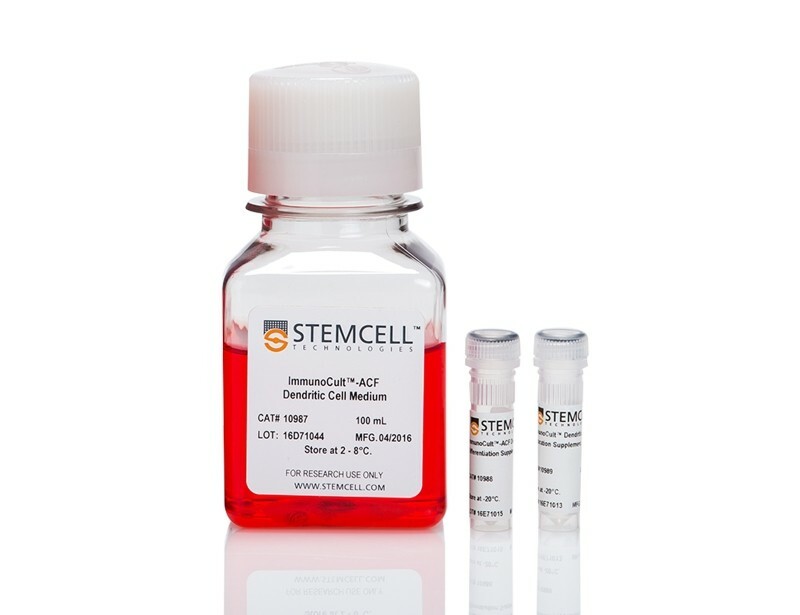 Mature DCs generated with ImmunoCult™-ACF Dendritic Cell Medium with Supplements show desired phenotype. 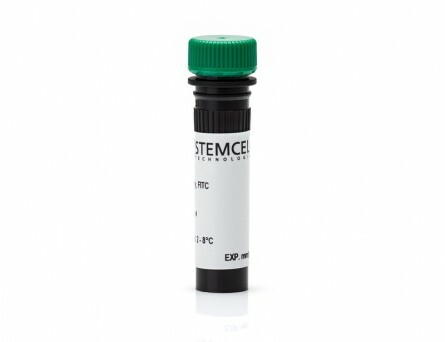 EasySep™ isolated monocytes were cultured and differentiated into mature DCs as described in Figure 1. 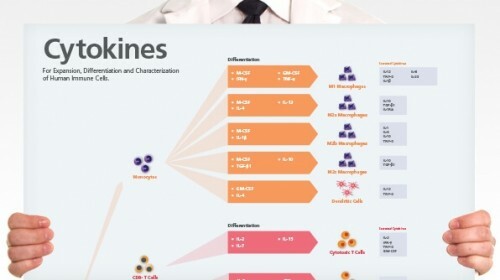 (A) The percentage of CD14 and CD83 expression in cells at day 7 (mature DCs) was determined by flow cytometry. At day 7, a total of 93 ± 5% of the cells expressed the mature DC marker CD83 and only 1 ± 1% of cells still expressed the monocyte marker CD14 (mean ± SD, n=39). 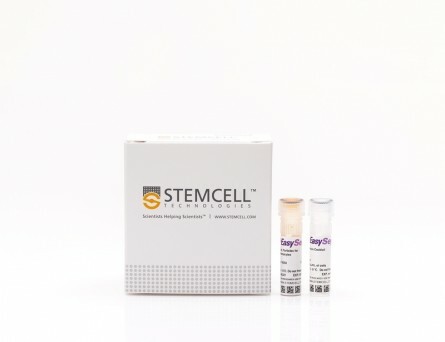 Yield of mature DCs was determined by count of total viable cells at day 7 relative to the count of viable monocytes used for initial culture at day 0. At day 7, the yield of viable mature DCs corresponded to 45 ± 25% (mean ± SD, n=39). (B) Immature DCs were cultured as described in Figure 1. At day 5, cells were cultured with maturation supplement for 2 days (mature DCs) or without maturation supplement (immature DCs). 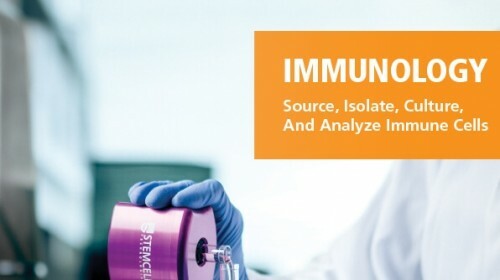 Supernatant was collected at day 7 and IL-12p70 levels were determined by ELISA. Concentrations of IL-12p70 in supernatant of mature and immature DCs were 361 ± 81 and 5 ± 2 pg/mL, respectively (mean ± SEM, n=27). Figure 3. 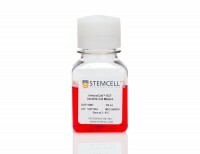 Mature DCs generated with ImmunoCult™-ACF Dendritic Cell Medium and Supplements induce T cell proliferation. 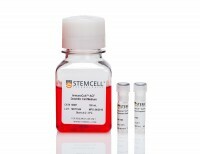 Mature DCs generated with ImmunoCult™-ACF Dendritic Cell Medium and Supplements (ImmunoCult) or other serum-free competitor media (competitor 1 and 2) and corresponding supplements when applicable (competitor 2), were cultured in ImmunoCult™-XF T Cell Expansion Medium with 1 x 105 CFSE labeled (A) allogeneic CD3+ T cells (MLR assay) or (B) autologous CD8+ T cells (antigen-specific T cell response). (A) Cells were cultured at a DC:T cell ratio of 1:25. (B) Prior to culture with T cells, immature DCs were loaded with HLA Class I peptides derived from the human Cytomegalovirus, Epstein-Barr Virus and Influenza Virus (CEF peptide pool) and stimulated with maturation supplement for 2 days. Cells were cultured at a DC:T cell ratio of 1:4 or 1:10. 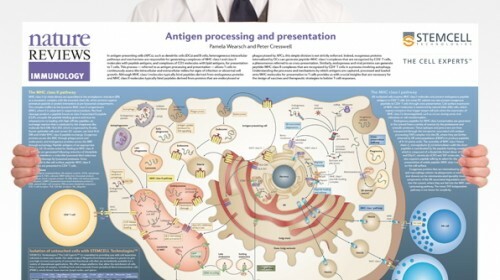 (A,B) CFSE labeled T cells were incubated in media alone (negative control) or with ImmunoCult™ Human CD3/CD28 T Cell Activator (positive control). After 5-7 days in culture the number of dividing T cells ( CD3+CFSElo) was assessed by flow cytometry (mean ± SEM) (A) n=5 (B) n=4 (competitor 1 and 2, n=3). 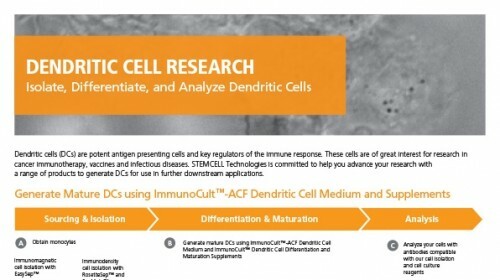 Mature DCs generated in ImmunoCult™-ACF Dendritic Cell Medium induced proliferation of allogeneic and antigen-specific T cells similar to DCs generated in either competitor media. 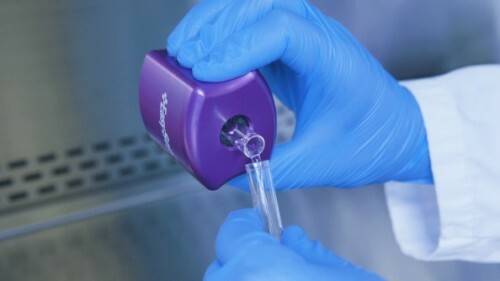 Competitors 1 and 2, include in no particular order, CellGro DC Medium (CellGenix) and PromoCell DC Generation Medium DXF.